French publishing giant Ubisoft has revealed its intention to buy server hosting company i3D.net. The company boasts 33 data centres around the globe with Ubisoft saying that this deal will improve its online game experiences. The deal is set to go through before March 31st, 2019. In the past, i3D.net has worked with Ubisoft, Psyonix and Electronic Arts. 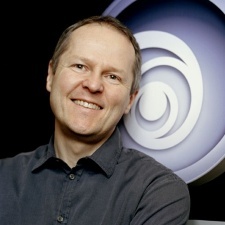 “We are continuing to build our online operations in order to deliver games and services that strongly enhance our players’ experience," CEO and co-founder Yves Guillemot (pictured) said. "By adding i3D.net’s expertise and technologies to ours, we are leaping years’ ahead in our journey to deliver best in class service connectivity and performance to our players. i3D.net will continue to deliver state-of-the-art services to its clients and will benefit from our long-term support."